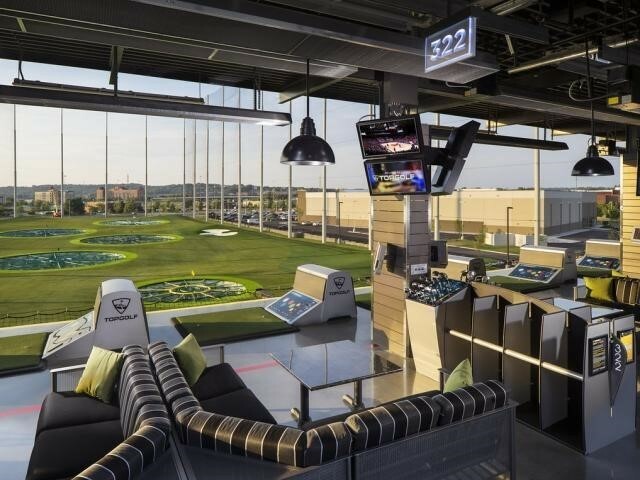 ﻿ Topgolf - Ohio. Find It Here. Test out your swing and hit microchipped golf balls, that are tracked for accuracy and distance. Score points by hitting targets, and have a friendly competition in your climate-controlled bay, where you can also order from an impressive food and beverage menu. No golf skills are necessary! Anyone can play, compete, and have a great time. Feel free to relax on the rooftop terrace where an impressive bar crafts signature cocktails. Topgolf also offers free shuffleboard, pool tables, and foosball to keep the games going outside of the hitting bays.